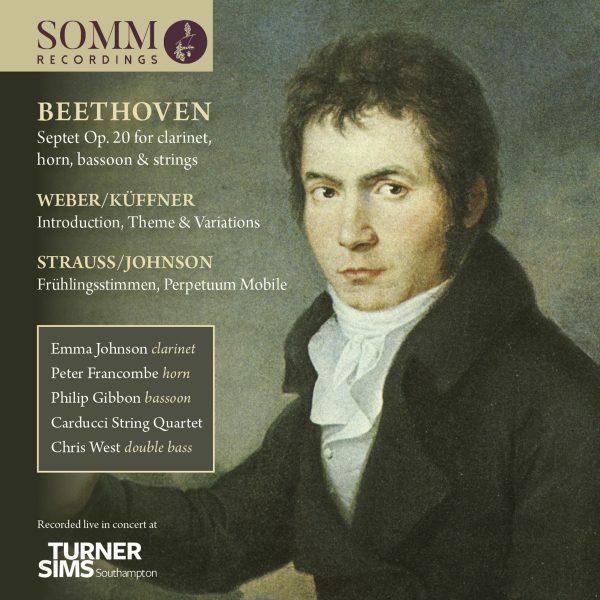 Emma Johnson & Friends – the ensemble led by the outstanding clarinettist and one of the UK’s best-selling classical artists – returns to SOMM Recordings for an entertaining programme of chamber music led by Beethoven’s magisterial Septet. The group’s second release for SOMM follows 2016’s well-received coupling of Schubert and Crusell (SOMMCD 0156), when MusicWeb International noted: “With an hour and a quarter of delightful music in first-rate performances, this disc is a winner”. Composed in 1800, Beethoven’s Septet is one of the cornerstones of the chamber repertoire. Caught on the cusp between the Classical era and fast-emerging Romanticism, as Robert Matthew-Walker’s booklet essay notes, “it abounds in felicitous light fancy and delicious invention… standing apart as a work of unquestionable independence of expression, already looking towards the initial decades of the new century”. 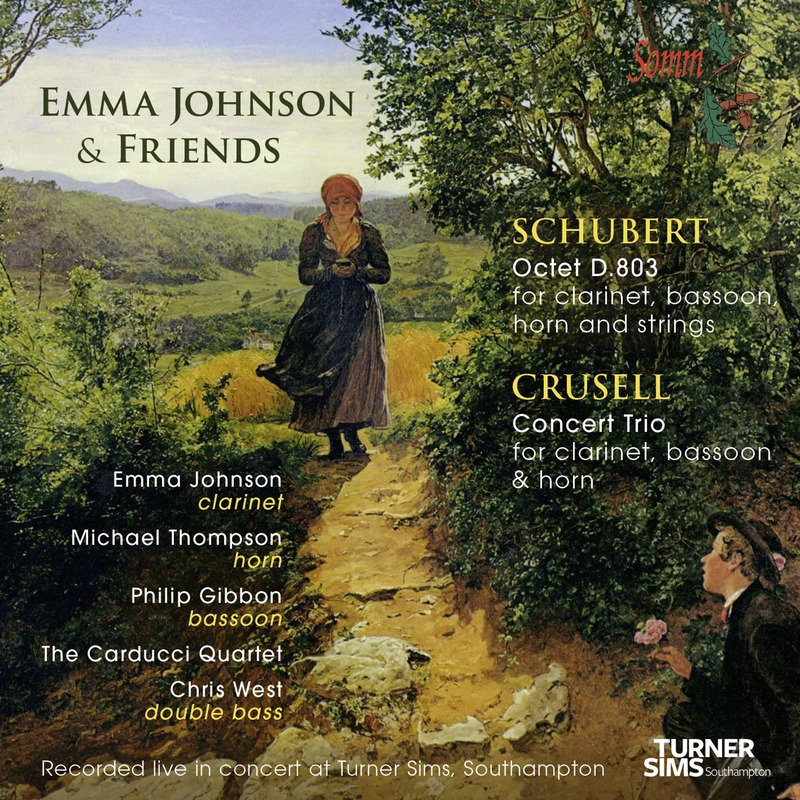 The Septet was the first work to pair clarinet, horn, bassoon, violin, viola, cello and double bass, its six movements “filled with sunny gaiety” (Matthew-Walker again) and realised here with exquisite delicacy and definition by Johnson in the company of the Carducci String Quartet, Peter Francombe (horn), Philip Gibbon (bassoon) and Chris West (double bass). For clarinet and string quartet, the Introduction, Theme and Variations, originally thought to have been Carl Maria Weber’s but now ascribed to Joseph Küffner, boasts an “inherent musicality and the beauty and cut of its themes and their treatment demonstrate quite clearly that this beautiful piece is well worth the attention of all lovers of music from the early Romantic period”. Two delightfully playful and poetic arrangements by Emma Johnson of Johann Strauss II’s Frühlingsstimmen and Perpetuum Mobile provide surprising encores to a recording of chamber music at its most elegant and eloquent.